Four areas of the restaurant are available. Private areas include: The Board Room up to 16 people Occasion Room up to 25 people The Library Room A up 44 people The Library Room B up to 44 people Both Library Rooms can be combined to accommodate up to 88 guests. Hondos is Richmond's prime destination for great steak. Hondos features a variety of perfectly aged cuts, broiled to your request and served sizzling. The menu features three different cuts of filet mignon, a cowboy rib-eye and a 24oz porterhouse. Hondos also specializes in fresh seafood with such favorites as jumbo lump (absolutely no-filler) crabcakes, South African lobster tails and a daily "fresh catch" to name a few. Whether a romantic evening for two or a business dinner, Hondos is sure to surpass your highest expectations in food and unparalleled service. Why not join us tonight? Great service, very average food for the money. Service was excellent. Food was good, but not great. My pork chop was a little dry. Nice selection of wines. Bar service was great, but the bar area is very small. I called ahead and noted we were celebrating a birthday, and there was no follow up--no question when we checked in and no special recognition of the event. There was a problem with a rather noisy group but management was very happy to move us to a quieter room. Our waiter and any staff we had contact with were very professional and kind. Our food was delicious. We couldn’t have asked for a lovelier evening to celebrate my husbands birthday. Service was super slow but both waiters were very nice and attentive as they could be. It appeared they were under staffed. My dinner was sub par for the type of restaurant. My halibut was way over cooked and had no flavor . Dry and tough versus flaky and flavorful. Risotta also didnt have any flavor. It was the chefs special! Husbands steak was med well, he asked for medium. We paid way too much for quality of meal we received. Took a business client there for lunch. Service was good, side salad was excellent, but otherwise the meal was sub-par. My client had to send his steak back, way over-cooked. And it was just a small, plain piece of meat for $30. My black bean burger was the worst example of such a thing I've had. At least is was relatively inexpensive. A great place to have lunch. Quiet, great value. As always, the service was outstanding. The food was good but I come to brunch often and it would be nice if the menu was changed up some. Excellent food and drink, excellent professional service, a grown-up environment without loud music making conversation impossible and high-back booths that give you the feeling that you are dining alone... everything a first-class restaurant should be. Our experience at Hondos last Friday was nothing short of spectacular. The ambiance, service, food, and drinks were phenomenal. It was the best dining experience we've EVER had in Richmond. Thank you so much! Incredible! The steak was cooked perfectly. There were numerous lunch specials in additional to the lunch menu. Great place! Very expensive, but pretty typical for our high end steak place. This was my 3rd lunch at Hondos in recent months. The friends I have dined with and I have all enjoyed the lunches and experience. Both the food and service have been exceptional. Wonderful dinner and evening out! The staff was very attentive and helped me spoil my wife on our anniversary. Food was fabulous, fried oysters were best I've ever eaten. Steak was perfectly cooked. Service, wonderful, not too much, not too little, server very personable. Will certainly return. Lots of good choices at lunch and reasonable. A bit too much garlic in the meatloaf dish, but still good. I have been to Hondos on a number of occasions. The service is always top notch. 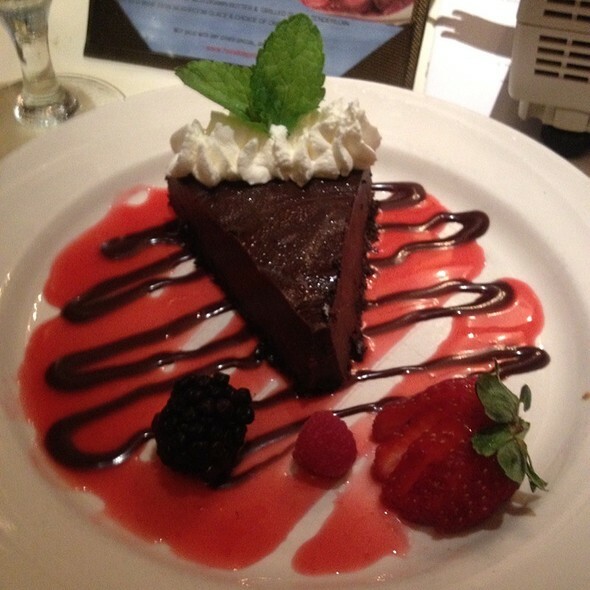 The steaks are always cooked the way you order them and the desserts are amazing! Enjoy!!!! Ribeye was great. Prime rib was ok. Too much spice decoration. Permeated the meat. Pasta dish was only ok.
As usual, the food was exemplary. 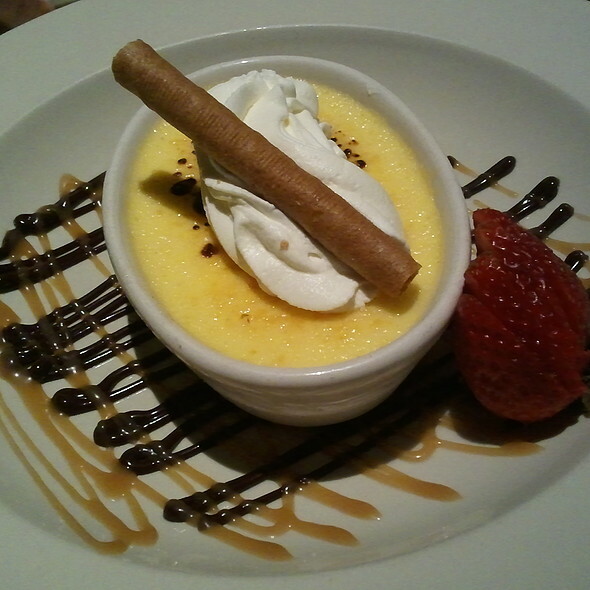 Our server, Andrew, thought of ways to accommodate my dietary needs; even changing up the dessert so I can have it. We went on a Thursday night so there wasn't a lot of traffic but the ambiance was excellent and the noise level was minimal. As always, excellent service and a great meal. Somewhat pricey, but we met friends there and we were not rushed. We could easily hear each other during our conversations. One of our favorite restaurants in the Richmond area. The food didn’t have any taste to it. I would not recommend this place to anyone that value food that taste good. Thank you for taking the time to fill out comments on Open Table. Please, if ever unhappy with any item here at Hondos, do not hesitate to bring it to our attention when you dine. 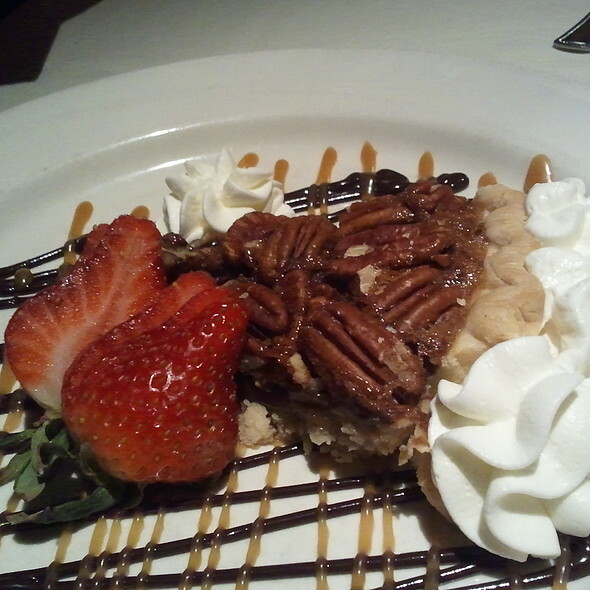 We will gladly prepare another dish more suited to your liking. We never wish for a guest to leave feeling anything other than completely satisfied. This was a do-over of a less than perfect prior experience. We received a nice gift card from Toni, Hondos Marketing director. Our waiter Stephen was brilliant, the food delicious and prepared perfectly, and the rear dining area was inviting! An overall perfect Hondos night. The dining industry is a tough business but we have come to take Hondos perfection for granted. All is right in the World once again. Thanks to the entire staff for their hard work every day. We will return. We had a wonderful dinner here and will definitely return!! Our server made the meal as I’m on a special diet and he helped me tailor our order toward what I could eat. The food was delicious. Chris the waiter was great! This was one of the top restaurant experiences I have ever had. Great food, service, and experience! Wonderful experience! Our server was outstanding! Food was delicious, perfectly prepared and served promptly. Can't wait to go back! Love this restaurant. This was my first experience seated beside the bar and at lunch time. So maybe that is why noise leaves a little louder, and newer wait staff so maybe not the 5 star I normally experienced. Other than that a great meal as always. Some of my friends where experiencing Hondo’s for the first time and commented how great their meals were. Excellent, superbly prepared food, that was brought to us in a timely fashion. Service was outstanding, and cannot say enough about the delicious food. Top notch evening all around! Food was excellent. Only concern was room was a little on the cool side. Just wish I hadn't had to wear my coat the entire time as did others. This was my first time at Hondos. We came for my father's birthday. All I have to say is the food and service were phenomenal! I will definitely return!! Really excellent steak oscar and very good service that balanced just the right level of attention without being obtrusive. Food was very good,though the New York strip I had was a little tuff with ribbon of fat in the middle. The appetizers were good also but very pricey.Not much under $14 to choose from. Fast ,attentive service by our waitress Nicole.Over all very good dinner. Very nice romantic restaurant, the food was delicious, our waiter John was awesome, I ordered the seafood trio which was very flavorful and my husband ordered the baby back ribs which was a nice size and he really enjoyed it. We had a great time at Hondos. We will definitely return.